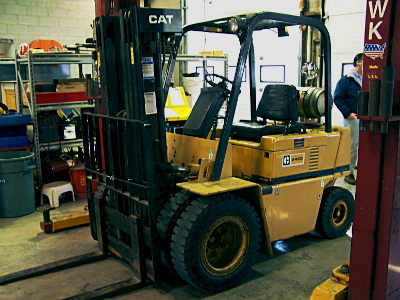 Forklift Operator Safety - This 4-hour class applies to persons engaged in the design, maintenance, and use of forklifts, tractors, and platform lift trucks. Meets the requirements of 29 CFR 1910.178 (l). Any other activities under the conditions that will be encountered in the use of the truck. Each participant who successfully completes the course will receive a license to operate an industrial truck, good for up to three years. 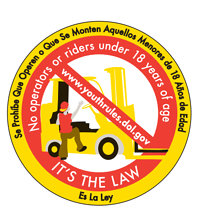 OSHA Note: It is a violation of Federal law for anyone UNDER 18 years of age to operate a forklift or for anyone OVER 18 years of age who is not properly trained and certified to do so.